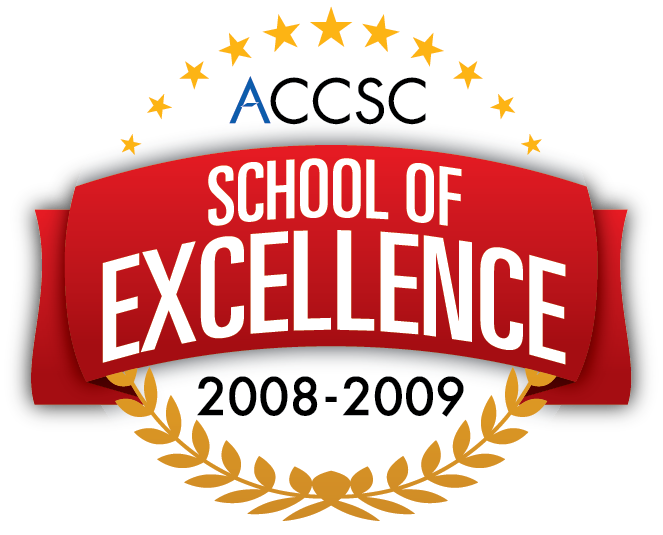 Stanbridge College is pleased to announce that it has received the 2008 – 2009 ACCSC School of Excellence Award from the Accrediting Commission of Career Schools and Colleges (ACCSC). The award is presented every five years during a school’s reaccreditation cycle. In order to be eligible for the award, a school must demonstrate a commitment to meeting the expectations and rigors of accreditation by ACCSC, as well as a delivering quality educational programs for students, graduates and employers. A school must meet all of the criteria for both of the ACCSC’s School of Excellence Award and School of Distinction Award. A majority of the schools’ graduation and employment rates from all programs offered must meet or exceed the average rates of graduation and employment among all ACCSC-accredited institutions. Stanbridge College offers programs in Information Technology and Allied Health. The College has maintained one of the highest continuous pass rates on the National Nursing Board Exam in California since 2007 with a 96% cumulative pass rate. ACCSC accredits private, postsecondary, non-degree-granting institutions and degree-granting institutions in the United States, including those granting associate, baccalaureate and master’s degrees. These institutions are predominantly focused on educating students for careers in trade and technical fields and may offer their programs via distance education. Learn more about the ACCSC School of Excellence Award by visiting www.accsc.org. To read the announcement of the 2008 – 2009 School of Excellence Award, please click here. Learn more about Stanbridge College and its awards and honors by visiting www.stanbridge.edu.